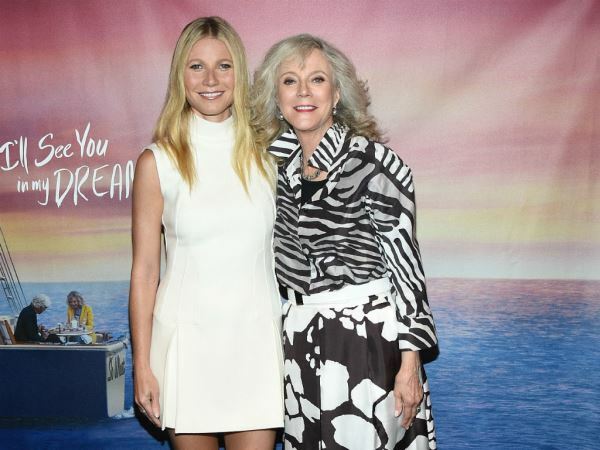 Blythe Danner thinks daughter Gwyneth Paltrow “can do anything”. The 72-year-old actress had two children with her late husband Bruce Paltrow , Oscar winner Gwyneth (42) and son Jake (39) who is a director. Gwyneth is often criticised in the media, whether it’s for comments she makes, her Goop website or her “conscious uncoupling” from husband Chris Martin. But Blythe thinks her daughter gets a hard time because people feel threatened by her success. “I know she's the most extraordinary girl who can do everything. Incredible mother, she's raising hundreds of thousands of dollars for my husband's oral cancer foundation - things she doesn't talk about a lot,” she said during an appearance on the Today show. “I'm so proud of her. I think she's so accomplished that people get kind of intimidated by it." Despite the press constantly writing about her daughter, Blythe admitted that she doesn’t keep up with everything that is reported about her family. “[I figure] so much of it is just trying to sell papers or whatever that's called over the Internet." Gwyneth has also spoken in the past about how she shrugs off the criticism that she faces. She does her best to remember that most of the people passing judgement on her don’t actually know her. “The older I get, I realize it doesn't matter what people who don't know you think. It doesn't matter," she told Red magazine in 2013. "You're wasting your energy. It's like, if your partner comes to you - or your best friend - and says, like, 'Listen, I want to talk about something you did that hurt me, or I think you could improve,' sit down and listen to what they have to say. But some friend of so-and-sos - it's like, who gives a s**t?"